Wheres this vid of a30 with the blind wolves? You should. That's what I was hoping people would do any time they found obscure concepts and early screenshots. So, around last year, i had talked with masterz for a couple of hours, not really about cmt as you would expect but about le halo beeta. so i talked with masterz and i found this sorta blog that iirc started around the time bungie got bought by microsoft. he mentioned that there was an entry about a cut level, something involving volcanos. i dont remember the link to the blog but if masterz sees this hopefully he can link it. i hope he does, because its pretty cool. that little chat is also the reason he uploaded all that beta footage. as I was attempting a little remake of the macworld demo that didnt really get anywhere. I seriously hope my memory isnt screwing with me. Yeah I really need to organize everything I have gathered about the games development and everything. I think I was at once point putting together an iBook about it all where you'd be able to have all sorts of pictures and models and sound clips and stuff. look closely at the orange grunt with an orange helmet. includes a snow map and a build with spheres following an early spartan model? mr. balls of steel build looks like an early 343 guilty spark. Found that these scenes of early builds started around 7 minutes in. I initially thought the image with the silvery sphere was underwater, and that those objects were bubbles, but I'm not sure if that's the case. 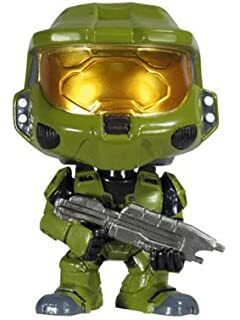 From what I could see, his armor seems quite similar to the final version of Mark V, but with a much bulkier fusion pack that resembles a slightly less extreme version of the Grunt methane tank. Based on the HUD messages, the flamethrower was originally designated as the "TOST-21 Defoliant Projector" (it is now the "M7057 Defoliant Projector"), the MA5B was the "MA-5 ICW/30mm CGL" (a reference to Marathon's "MA-75 Assault Rifle/Grenade Launcher") and sported a 42-round magazine and a (caseless?) 30mm grenade launcher (with six rounds), the M6D was the "50 Magnum Mega Class M4a" (a reference to Marathon's ".44 Magnum Mega Class") and utilized 18-round magazines. Been chatting with echo a bit. finally found this. "it has been known for quite some time that our sources inside Bungie have disclosed that console versions (for both the PlayStation 2 and Dreamcast) have been in production for quite some time now and that an announcement revealing the set-top Halos is just days away. 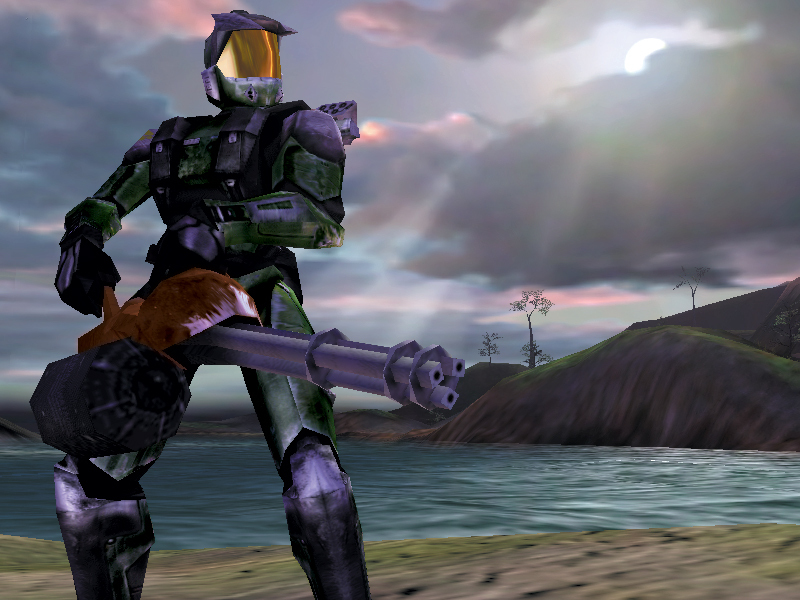 Publisher Rockstar Games has also gone on record by stating that the PS2 is the most likely console that Halo will appear on and that 2001 would be the year that it does." Makes me wonder if the Dreamcast would have survived if Halo came on it. "For those that don't follow PC gaming very closely, Halo is a team-based third-person 3D shooter, set in an exceptionally complex futuristic setting. 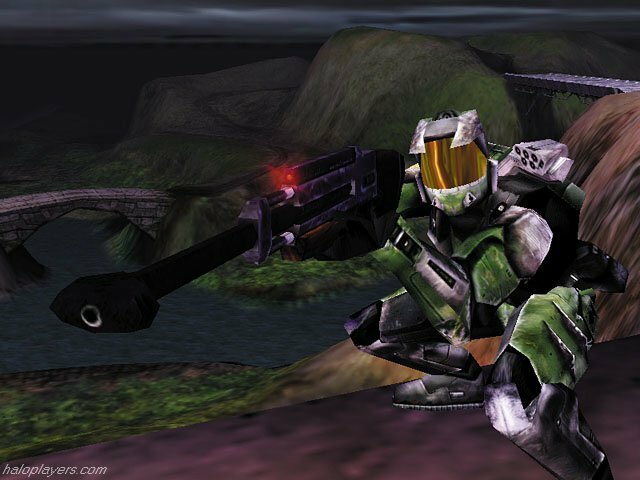 Bungie has always been known for its intricate story construction, and Halo will be no exception. Many years into the future, mankind expands outward to colonize the galaxy, and encounters the classic consequence of interstellar expansion: an alien race that's at least as unpleasant as we are. Called the Covenant, they keep mostly to themselves, sending only short communications of oddly religious cast before blowing the hell out of human colonies. Eventually, there is a final confrontation, as the Covenant fleet approaching Earth is met by humanity's last line of defense...and unfortunately, we lose. The last surviving human ship, the Pillar of Autumn, decides to get the hell out of there, guided by its commanding artificial intelligence. Setting a random course for as far from Earth and the Covenant as possible, it makes its way to a remarkably strange planetary system. This system has three major components: Threshold, a gas giant planet; Basis, a small moon; and Halo, the really interesting bit. Readers of Larry Niven's Ringworld should have a handle on the basic concept, although the Halo sits at a Lagrange point between Basis and Threshold, rather than encircling a sun. Halo is a massive, ring-shaped construction, with a habitable environment covering its inner side; it has rotational gravity, an atmosphere, and so forth. And it's the Halo upon which the Pillar's last survivors crash, after the Covenant catches up to them. You are one of those survivors, bailing out of the ship with all the supplies and armament you can jettison in time." So, the story seemed to remain intact aswell. pretty cool. and according to the article, it seems the story would have been more linked in with Marathon. that wouldve been awesome! Another pic of the early tank, with what appears to be a surface-to-air missile overhead. And a better image of "The Old Shovel". Early Fuel Rod Gun effect and camo scheme on the Warthog. This image is just so damn cool. Tank battle on A30 pls. WHY DID BUNGIE HAD TO CUT THESE OUT! Really I hate when these company do that! As I understand it, they realized they had a deadline to meet and it was a matter of cutting some things or never releasing the game. 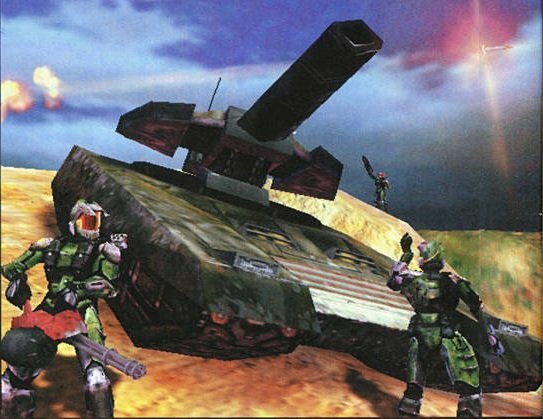 It's a shame that some of it was lost, but it also gave us Combat Evolved as we know it today. Some things might have been nice, like ambient wildlife and a wider array of weapons and vehicles, but depending on how far back you went with the "never cut anything," mindset, we might still be driving Humvees instead of Warthogs. Driver is holding a pistol? And what is that weapon passenger has? I think I remember a vid showing that weapon was somewhat like an SMG. someone correct me if im wrong. It was actually looks to be an auto-pistol, Why else have the foregrip? Its the SMG, it's shown in the evolution of halo. Yeah, like Sean said, it's the submachine gun. 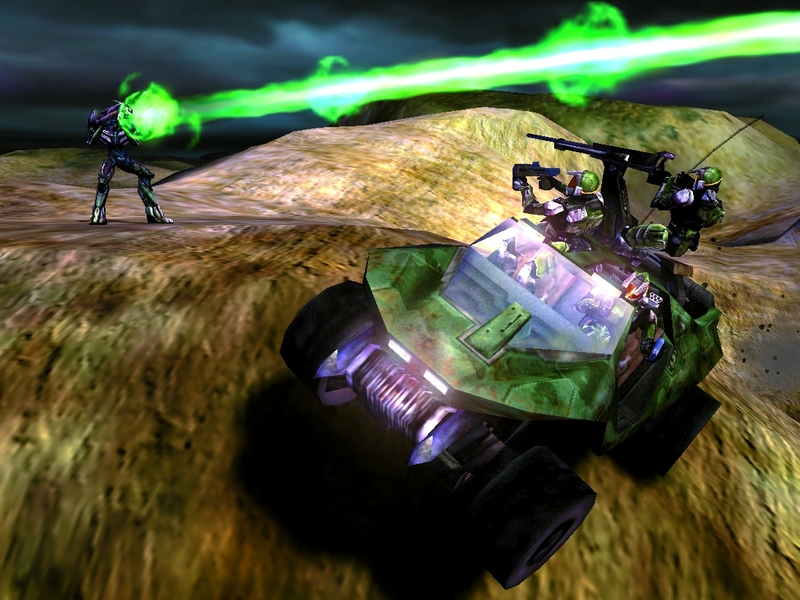 Based on that image and its brief time on camera in the Evolution of Halo video, it was boxy, side-fed (with the magazine sticking straight out of the left side, like the Sten SMG), had a lolhuge muzzle flash, no stock, an integral foregrip and reflex sight, and the rear of the receiver was vaguely Thompson-esque. It's likely an early concept version of the assault rifle. The assault rifle, surprisingly, actually didn't change very much between these early builds and the final game. Which appears to be a rotary gun and/or a giant turkey leg. I don't think it's a flamethrower, although the pre-Xbox minigun and flametrower did share some aspects of their respective models. While I'm a fan of the idea of ambient life in muh Halo, I'm glad we didn't end up with the Vulpard of the Thorax. I actually would have loved to have seen the engineer on the final build. From what I remember, they were supposed to be a chaotic neutral character, assisting whichever side got to them first and leaving you with the tactical decision to either kill them or use them for yourself until they defect and betray you. Much cooler than bomb/shield generator like in ODST/Reach. According to Halopedia, they were just supposed to be passive, puppy-like entities that you didn't have to kill and would make you feel guilty if you did. I never joined in the slaughter of those poor octopai in reach except in firefight when I figured out that they were adding a double multiply function to the elites shields. Huh. You're right. I must have been thinking of the notes from the canned First Strike mod that would have been based off of the book. Like in the book, they were supposed to be "mechanic" characters that couldn't distinguish between friend and foe whatsoever. I must have been thinking of the notes from the canned First Strike mod that would have been based off of the book. Like in the book, they were supposed to be "mechanic" characters that couldn't distinguish between friend and foe whatsoever. That does sound like an interesting gameplay mechanic. Man I remember back in the day before CE when that mod team was in pre production. Good times. The engineer is left in the files in the game. The thorn beast is gone for good. That's 2001. I kinda like that head armor color. If anyone is interested I'm making a huge .zip compilation of Halo Ce pre-launch materials. This includes every screenshot of the 1999-2000 builds I could find (lots of traveling through dead sites -- hence how I found the E3 game cover Echo posted). The only stuff I haven't added yet are all the voice outtakes/cut music, ads, and misc. promotional materials. I'm not sure how much of those I will include but I'm most likely not going to include the video footage in vidocs such as O Brave New World but some of the footage I have recovered are the original videos some of those vidocs took from. I'm also considering whether or not to include early interviews for the games since most of them generally sum up as "multiplayer will compete with Tribes" "graphics are amazing" and the various detailing of some known and not so known mechanics (such as how voice chat would be distanced based so you would have to use hand signals which were basically emotes to communicate with team mates. It is vague if those signals would be used to command npcs in singleplayer as the line between gameplay mechanics and "innovation" somewhat blur in the interviews). Time: Tue April 23, 2019 11:04 AM 312 ms.